When the shirt is fully buttoned up, the front of the collar is pushing hard against the front of the neck uncomfortably, but at the same time there is a gap between the back of the neck and the back of the collar. This is caused by the person having a posture where the neck goes slightly forward and the shoulders go slightly back. 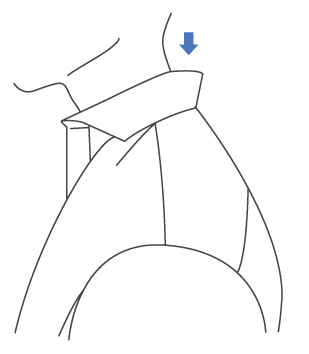 The typical response to a tightness at the front of the collar is to make the collar larger, but if you have a particularly forward neck posture that is not the optimal solution. It’s for this situation that we invented the Neck Forward adjustment. If the problem is significant enough for you to notice it, we suggest using the Neck Forward 1” adjustment. 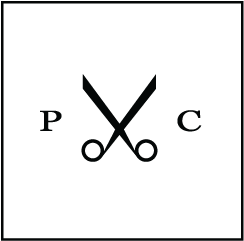 This adjustment rotates the collar forward relative to the chest and shoulders of the shirt. If your neck is slightly forward, this adjustment can help better align the collar with your neck.